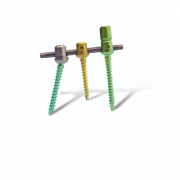 The uCentum pedicle screw consists of a simple low profile tulip-head, top loading, cannulated, fenestrated and optimized (cortical to cancellous) thread design to address the increased purchase requirements of poor bone quality. 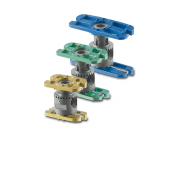 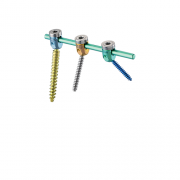 In addition, this system also features a unique prefixation screw technology (dual locking) that adapts the screw head from a polyaxial to a monoaxial design, while still allowing the rod to translate in order to offer true parallel compression or distraction of the vertebrae during spinal surgeries. 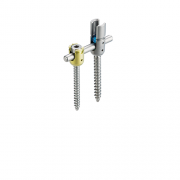 The screws are available in a variety of lengths and a wide range of sizes (from 4.5mm to 10.0mm) in order to match diverse patient anatomies for use during primary or complex revision surgeries. 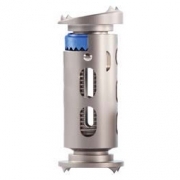 Also, the system includes straight or curved titanium rods, and numerous reduction instruments and MIS rod-delivery options to simplify the procedure for surgeons. 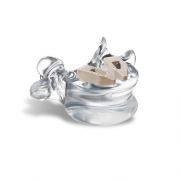 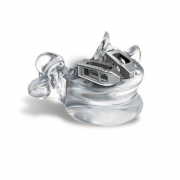 Equally important, unlike most pedicle screw systems available today, uCentum offers surgeons a unique 2-in-1 instrumentation set that encompasses both open and MIS approach instruments and implants which allows surgeons to move between MIS and open procedures while utilizing one surgical set.